Captain Patrick Reid whose family were from Carlow, Ireland was one of the few people to escape from Colditz Castle during World War II. 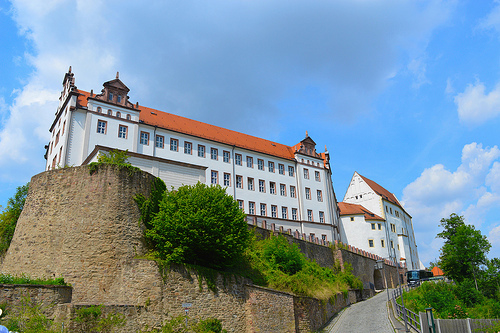 Colditz Castle is located in the state of Saxony in Germany. It was used as prisoner-of-war camp by the Nazi’s during the war. Patrick Robert Reid was born in November 1910 in Ranchi the capital of the state of Jharkhand in north eastern India. His father John Reid was from Grange near Tullow, Co Carlow. He was educated at Clongowes Wood College Co Kildare, Ireland and graduated from King’s College London in 1932. He later trained as a civil engineer. In 1935 Patrick Reid joined the British Army. He was mobilised for active duty on August 24th 1939. Whilst serving as a member of the British Expeditionary Force he was captured by the Germans on May 27th 1940 near Cassel about 30km south of Dunkirk in France. 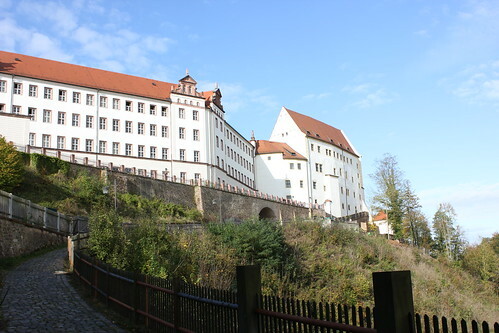 He was sent as a prisoner of war to Laufen Castle in Bavaria close to the Austrian border. 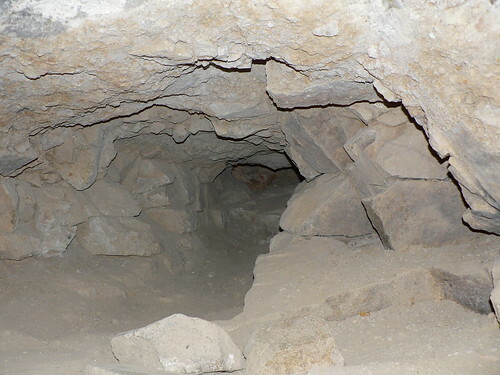 Three months later having dug a tunnel Reid and five other prisoners escaped and tried to reach Yugoslavia. They were captured within days and returned to prison. Patrick Reid was born in the year 1910 On This Day. Mother Teresa was a Loreto Sister. She did part of her training at Loreto Abbey in Rathfarnham in Dublin, Ireland. Having been a Loreto nun for 20 years she founded the Roman Catholic order of nuns known as the Missionaries of Charity. Today the order has over 4,500 sisters in centres around the globe. 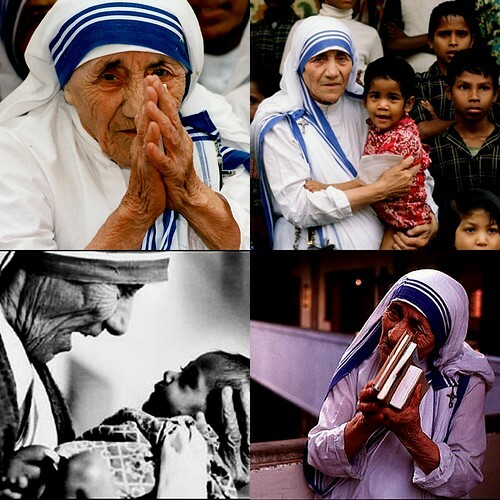 In October 2003 the title ‘Blessed’ was bestowed on Mother Teresa. Blessed Mother Teresa was born Agnes Gonxha Bojaxhiu in the Republic of Macedonia in 1910. In 1928 she moved to Dublin to join the Sisters of Loreto at Loreto Abbey in Rathfarnham. She continued her training in India and on May 24th 1931 took her religious vows as a nun. Sister Teresa, as she was then known, taught at the school of the Loreto Order in Calcutta until 1948. Having experienced what she called ‘the call within the call’ Sister Teresa began devoting herself to caring for the sick and the poor in 1948. 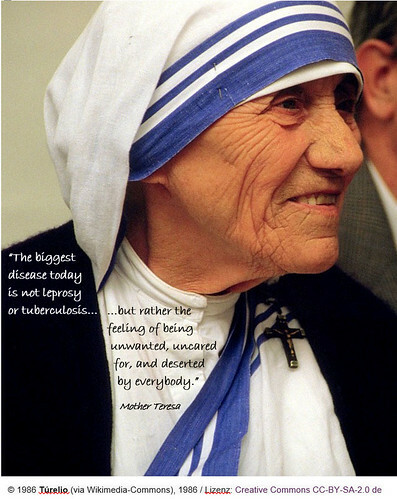 She founded the Missionaries of Charity and became known as Mother Teresa of Calcutta. The Missionaries of Charity order is now active in over 130 countries caring for the sick and the poor. Mother Teresa has been the recipient of several awards, including the Nobel peace prize in 1979. She died in Calcutta at the age of 87 on September 5th 1997. Mother Teresa was born in Skopje, Republic of Macedonia in the year 1910 On This Day. Florence Nightingale was born in Florence, Italy in 1820. When she was one year old her family moved to live in England. She was a member of a wealthy family and was educated by her father. She grew up in the family home at Embly, Hampshire and at their summer home at Lea Hurst. In her teens and early 20’s she travelled extensively in Europe and North Africa. Despite strong objections from her family, Florence Nightingale decided to train as a nurse. She announced her decision in 1844 and enrolled as a nursing student at the Lutheran Hospital in Kaiserswerth, Germany. In 1852 she visited Dublin to observe the work of the Irish Sisters of Charity at St Vincent’s Hospital on St Stephen’s Green. She returned to England and took up a post in a Middlesex Hospital for elderly ladies. The Crimean War broke out in 1853 and by 1854 there were over 18,000 injured soldiers in Military hospitals. In 1854 Nightingale was asked to organise a corps of nurses to help care for the wounded in the Crimea. She assembled a team of 38 nurses and sailed to the Crimea. 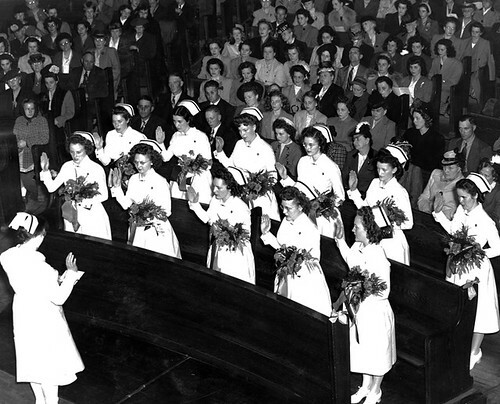 The team was made up of nurses from various backgrounds including Anglican and Catholic religious sisters. Included in the Catholic group were 15 Mercy nuns from convents in Ireland and England. Two of the mercy nuns, Sister Aloysius Doyle and Sister Stanislaus Heyfron, were from Carlow, Ireland. Conditions for the wounded in Crimea were appalling and more soldiers were dying of disease than from their wounds. Nightingale instituted a programme of hygiene and improved sanitation which brought about a dramatic reduction in the death rates. As a result of her representations the engineer Isambard Kingdom Brunel was commissioned by the government to design a prefabricated hospital. The hospital was built in England and shipped to the war zone. Nightingale worked long hours and showed great compassion for the wounded. She became known as ‘the Lady with the Lamp’. After the war Florence Nightingale returned to England. In July 1860 she established the Nightingale Training School at St Thomas’s Hospital in London. Though she was suffering from ill-health she continued to work in the areas such as hospital planning and social reform. In 1907 became the first woman to be awarded the Order of Merit. 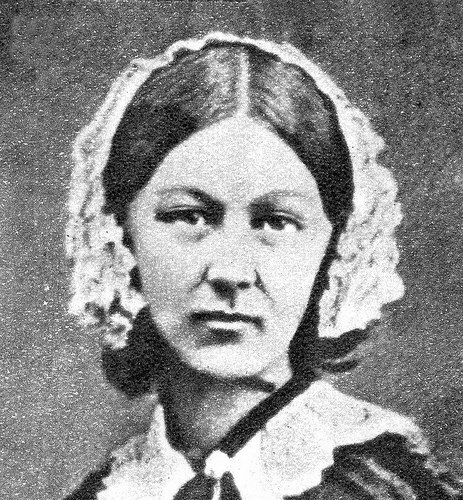 Florence Nightingale died in London at the age of 90 in the year 1910 On This Day. 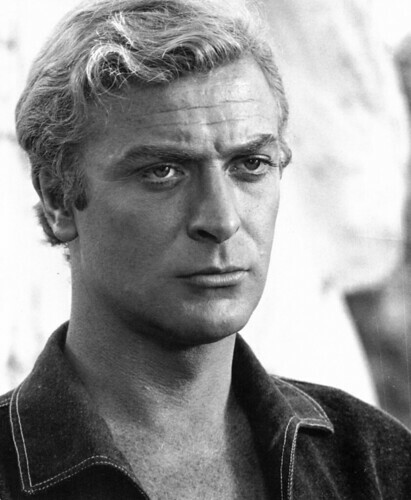 Bill Naughton author of the play ‘Alfie’, the film version of which starred Michael Caine, was a native of Co Mayo, Ireland. He wrote several other plays, two of which were made into feature films. Naughton was also the author of novels and a collection of short stories. William John Francis Naughton was born in Ballyhaunis, Co Mayo in 1910. When he was four years old his family moved to England. The Naughton’s settled in Bolton, Lancashire and Bill was educated locally. When he left school he worked at several jobs, including as a lorry driver, before he began writing. Much of Bill Naughton’s writing reflects his working class background. Apart from Alfie two of his plays were adapted for film. His play ‘All in Good Time’ was filmed as The Family Way starring John Mills in 1966. Spring and Port Wine was filmed in 1967 starring James Mason. Bill Naughton moved to London in the 1950’s. He wrote for the humour magazine Lilliput. He also wrote for radio and television. Naughton, who was the winner of several awards, died at the age of 81 in Ballasalla on the Isle of Man on January 9th 1992. Bill Naughton, playwright, novelist and author of short stories was born in Ballyhaunis, Co Mayo in the year 1910 On This Day.